Joely comes from a Dancing and Musical Theatre background having attained a foundation Degree from The Liverpool Institute for Performing Arts. Her main interests include: Dance, Running, Travel and Nutrition and she is in her final year at St Mary’s University studying a BSc in Sports Rehabilitation. Being a dancer Joely noticed the high level of injuries present in the industry and so her aim is to work with Dancers in injury rehabilitation and Joely has a special interest in core stability, mobility and yoga. 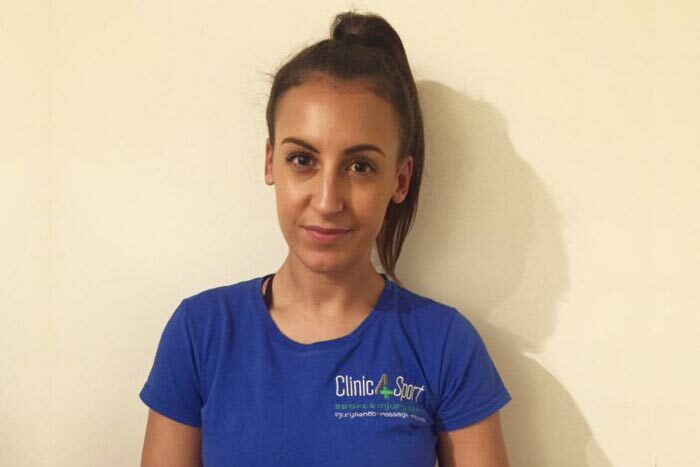 Joely is a fully qualified and insured Sports Massage Therapist and also a Level 3 Personal Trainer. You can trust that Joely will provide you with effective treatment as well as advice on fitness and injury rehabilitation.